Enterprises are always trying to find and establish the next major growth area for their digital business, which is why there’s much excitement recently about Latin America. For companies looking to expand into Asia Pacific, Hong Kong data centers have become essential for storing some of their data operations to bridge into mainland China. 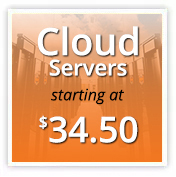 Is colocation better for your wallet than cloud services, even if you don’t have your own hardware yet? While every situation is different, the short answer is usually “Yes” after the first year if you are a medium to large sized enterprise. Let’s dive into the numbers. Dropbox filed its IPO last week, and in the filing, we were able to peel back the curtain and see exactly how much they saved because of the switch from AWS to colocation data centers.